To make it as an entrepreneur, you need to have passion and hustle! Entrepreneurship and business isn’t for the weak. Every second you aren’t working, someone else is grinding and their mission is to be the best and to crush their competition. If you don’t have this same mindset, it will be hard for you to stay ahead in this game that never has an ending. Not only is passion for business and success a trait that many of us hold, it’s also contagious and effects everyone around you! It’s time to share this passion with everyone in this latest episode of Rise of the Entrepreneur. Gary Vaynerchuk is a businessman, entrepreneur, author, host of the #AskGaryVee show and also the mastermind behind WineLibrary TV… and if everything works out the way Gary plans… one day he will also be the owner of the NY Jets. 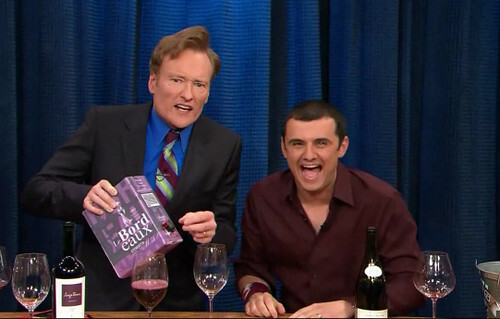 Aside from his resume of success, Gary Vaynerchuk is one of the most passionate and well known entrepreneurs to come out of the internet marketing and social space. More importantly, Gary is all about the hustle and got to where he is today because of the time, effort and passion he puts into everything he works on. Does Gary have a 30 second elevator pitch? I can’t thank you enough for listening in to the fifty-fifth episode of the Rise of the Entrepreneur. The podcast is currently available through iTunes (usually ranked in Top 50 in BUSINESS) and has already been downloaded in over 100+ different countries!